First opened in October 2015, casual mod-Japanese izakaya restaurant and bar Neon Pigeon has been making headlines – in a good way – for its Asian-inspired small plates menu, but it is very likely to be garnering even more accolades and devotees soon for its new cocktail offerings introduced a month back. And that would be down to a rather small reason – pint-sized bar manager and head bartender Symphony Loo. Since joining Neon Pigeon in October last year, the ex-Cufflink Club Loo has been gathering feedback from regulars on the kinds of drinks they expected to see at the restaurant bar. She found that while many customers liked the idea of the bespoke cocktail, their descriptions of their cocktail preferences tended to fall into specific categories. She realised that it made more sense to mould the bar programme to meet those preferences, and over the past few months have introduced drinks that have slowly moved away from those of a more bespoke nature. 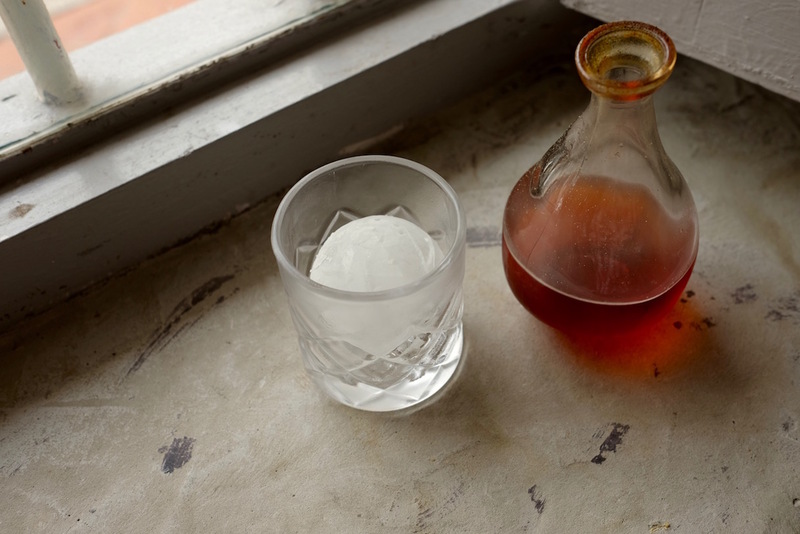 Take for example, her Teared Negroni ($20++, above), first introduced during Negroni Week in June this year. 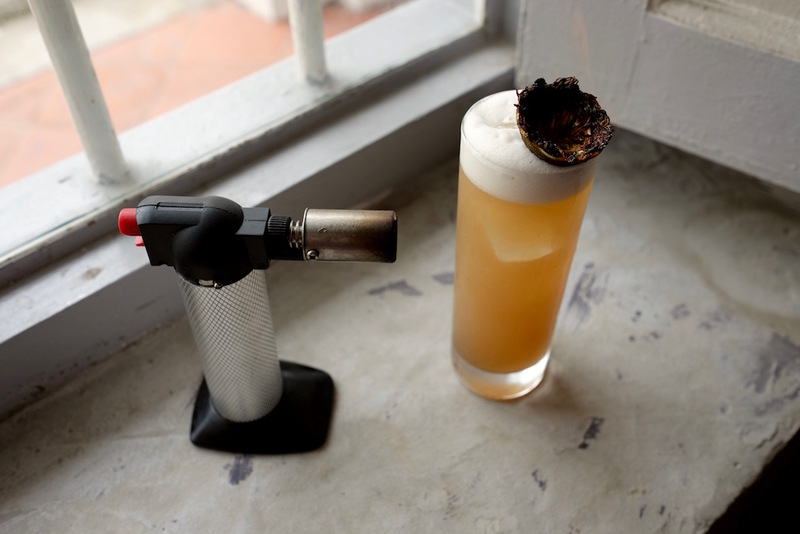 Her version – made with sake and umeshu infused with rosemary, Campari, vermouth and topped off with prosecco – is a more delicate version of the bitter apéritif that became so popular with Neon Pigeon’s customers that it has remained on the menu since. Another delightful tipple is the Shibuya ($20++, main picture) – its Suntory Kakubin whisky base, along with house-made apricot yuzu jam, Cointreau-infused with chamomile, and lychee liqueur, makes this an alcoholic fruit tea with notes of lychee and lime. Also new entrant is the Drop It ($20++, above), made with Ketel One Citroen vodka, coconut infused sake and house-made yuzu limoncello that’s become Neon Pigeon’s top seller. It’s not hard to see why – it’s sweet, citrusy and creamy at the same time. It even tastes of White Rabbit milk candy from our childhood. For something a lot more floral, there’s Bees-Ness ($18++). 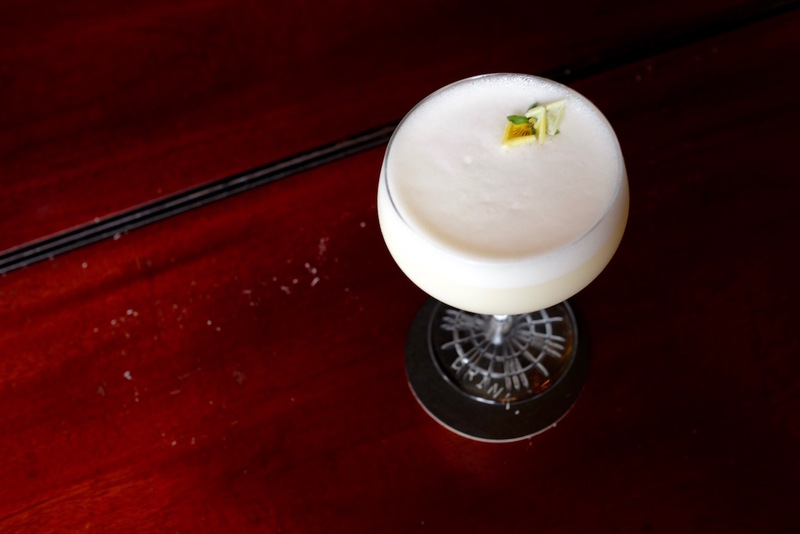 Thrown together from Bankes gin, sake, maraschino liqueur and house-made ginger chamomile honey syrup, it’s altogether sour, citrusy, sweet and floral. Then there’s the Jap Ice Tea ($22++, above), which pays tribute to Long Island Tea but with some Japanese influence thanks to the addition of house-made yuzu beer syrup to Bankes gin, Ketel One vodka, Plantation white rum, Cointreau, and topped off with coke and lemon juice. It’s refreshing, deeply complex and aggressive at the same time. You may have noticed that Loo uses plenty of house-made syrups and tinctures. But while many other bars also employ house-made ingredients to create unique offerings, Loo admits that for her it’s practicality and simple economics. “It’s just a lot cheaper to make my own syrups than to buy commercial ones,” she shares. “We have a full kitchen anyway, and it helps to bring down the prices of our drinks.” That’s both tasty and smart. In fact, cocktail prices mostly fall within the $17++ to $20++ range, with just one on the wrong side of $20, which means cocktails here at Neon Pigeon are amongst the cheapest in the Keong Saik Road stretch. With the affordable prices of its new cocktail list, coupled with the vaunted eats here, this Neon Pigeon is about to take flight. You can find Neon Pigeon at 1 Keong Saik Road.